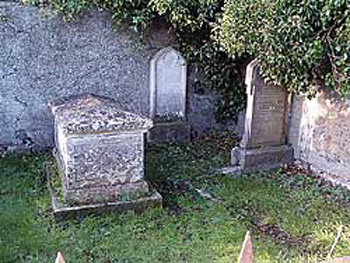 This is the burial place of James Sinclair of Borlum; and here lyes James Sinclair his eldest son and his spouse, Elizabeth Ennes, who left behind them the Rev. Mr John Sinclair who was Rector of Leckpatrick nigh Strabane in Ireland 1665. Here lyes Isabel Sinclair who was married to the Rev. George Anderson, Minister of Halkirk; and Elizabeth Sinclair married to John Farquhar, Bailize of Thurso; and Margaret Sinclair, spouse to George Sinclair of Ulgrimbeg [grandson of John Sinclair, 1st of Assery]. Cited in The Sinclair Family of Belfast, N. Ireland and their Descendants 1660-1964 by Mrs St. Claire Lappe Daub (USA), from The Caithness Family History Book by John Henderson. “Your Place & Mine” (BBC Radio Ulster) broadcast a programme about Leckpatrick graveyard in May 2008, when Hamilton Thompson, then the current owner, talked about Holyhill House, which was purchased by Rev. John Sinclair from the Magee family in 1683. Hamilton recounted an interesting story about the house and family. After the Siege of Derry in 1689, James II’s fleeing troops arrived at Holyhill. They were about to burn it down when the commander of the troops issued an order that it should be left untouched. He was a Hamilton, and it is thought it was because the Rev. John Sinclair’s first wife was a Hamilton that he saved it from destruction. The commander was on the Donegal bank of the Foyle at the time, so his messenger had to swim across the river to deliver it. However, the Rev. John Sinclair did not marry a Hamilton, but his daughter Isabel married Claude Hamilton of Monterloney, which would make this story quite possible. Farewell to the foggy hill. Donald Brooke (-1879), in I.C. Service, unm. 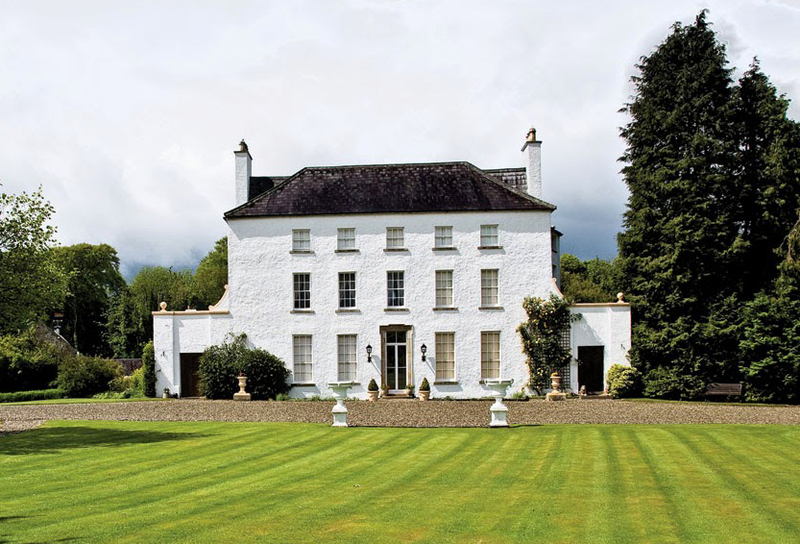 Holyhill House at Leckpatrick, near Strabane, Co. Tyrone. Courtesy of Landed Families of Britain and Ireland. The Reverend John Sinclair (1643-1702) is buried with his descendants at Leckpatrick graveyard. An enclosed square walled area with railings on top contains a number of large and ornate Sinclair memorials, some of which are set into the walls. Courtesy of BBC Radio Ulster, ‘Your Place & Mine’, May 2008.